Melissa Barnett looks at rising awareness of the need for forklift safety and some of the latest innovations. One of the most active areas on the Forkliftaction.com website is the Discussion Forum - with questions on forklift driver safety, regulations and training posted regularly. A close second is the Safety First column. When there is so much information available on forklift safety, it begs the question: why do we still publish so many reports on forklift accidents and fatalities? This year, Forkliftaction.com News has published 16 forklift-related accident stories, that’s one every two weeks. Shockingly, three of them involved children, with fatal consequences. Clearly, something is lacking in forklift safety training. The (US) National Safety Council at its recent National Forklift Safety Day quoted statistics from the Occupational Safety and Health Administration (OSHA) 2013 report, citing 85 forklift fatalities and 34,900 serious injuries in the USA in that year. The Health and Safety Executive (HSE) in the UK reported six forklift-related fatalities and 400 serious injuries in 2014. The Administration of Quality Supervision and Quarantine (AQSIQ) in China reported 38 forklift accidents last year and Australia’s Safe Work organisation reported six forklift fatalities in 2013 - the highest number in three years. There are an estimated 855,900 active forklifts and 1.5 million forklift operators in the USA; multiply this across the globe and you begin to see the difficulty in regulating and promoting safety in such a vast and ever-changing industry. There is no denying that forklifts have done a huge amount to also reduce injury, particularly injuries associated with heavy lifting. It would be impossible to run today’s massive warehousing and port operations without them, but forklift operation continues to hold inherent risks which need to be managed for both social and economic reasons. The main risks in forklift operation are the same all over the world and usually involve speed, pedestrian incursions, poor or inadequate driver training, longer operating hours, more confined work areas or poor equipment maintenance. These are also the risks that can lead to injury and death. Jeff Wuendry, product specialist at US sensor intelligence company SICK, believes that contrary to popular opinion of both business owners and forklift operators, a high standard of workplace safety and productivity are not mutually exclusive. 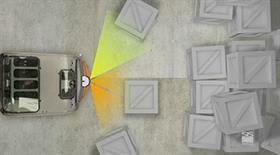 When you estimate the cost of damaged goods, you realise that collision-sensing equipment represents good value. He explains that if the value of a case of goods is USD100 and the company makes a 1% margin on the case of goods, to replace that case of goods damaged by a forklift would mean the company needs to sell an additional 100 cases to make up for the loss. Don Domberg, vice-president of aftermarket and customer satisfaction for UniCarriers Americas, says a practice he regularly sees is forklift operators attempting to operate the forklift before being properly seated behind the controls. He says this - and not wearing a seatbelt - are entrenched driver behaviours which UniCarriers addresses through its Enhanced Seat-Actuated Operator Presence System. 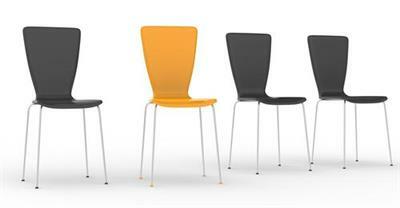 The simple system requires the operator to be seated for the major forklift systems to function. The system disengages the forward/reverse transmission solenoids within three seconds to prevent further forklift movement. 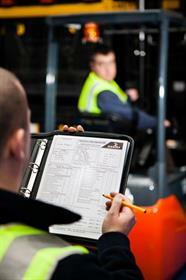 According to HSE 2010/11 statistics, 57% of forklift injuries occur as a result of being struck by a moving vehicle. In the USA, it is estimated by ITA to be closer to 80%. Australian company Orbit Communications has developed the BodyGuard i-Tag to reduce the risk of collision between moving vehicles and pedestrians in the workplace. David Huisman, director of Orbit, says that he sees non-compliance of personnel with safety processes around moving vehicles as a significant issue in the workplace. The BodyGuard i-Ttag works by setting up a programmable exclusion zone around the forklift. 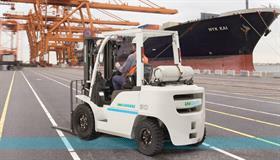 It then provides an audible and visual alert to the forklift driver when a person/object is detected in the zone. An optional vibration alert (personal tag device) which can be worn by pedestrians is also available. Importantly, the personal i-Tag can be detected through the body and most solid objects, ensuring protection from behind or through palleting. Because the tags will activate any BodyGuard i-Tag system when they are detected within the exclusion zone, the system will work on any site or location without the need for reprogramming or changes to be made. Giacomo Mezzera, marketing manager for Italian company Cy-Pag Srl sees lack of visibility and driver distraction as common causes of forklift accidents. Cy-Pag’s SIS collision-avoidance system prevents and avoids the risk of collision by slowing the forklift down and blocking movement in two critical situations – reversing and load lifting. In an imminent collision, visual and acoustic warnings are triggered by a compact ultrasonic sensor discreetly mounted in the forklift’s cab. Cy-Pag is also developing a stand-alone system positioned onsite which detects the approach of forklifts at designated meeting points or junctions. 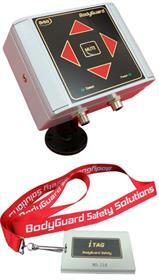 The system alerts pedestrians as well as forklift operators via flashing lights and audio alarms. John Valentine, director of Real Telematics, a South African-based company, knows all too well how difficult it is to change entrenched driver behaviours. "‘Formula Forklift’ is real," says Valentine. "The truth is that races between forklift drivers do take place. I have seen camera footage of forklifts lining up and taking off at wheel-spinning speeds. Pallet trucks apparently have a race all of their own – it’s called ‘formula donut’!" The ramifications of this behaviour are serious, which is why Real Telematics has designed Real FMX, an electronic data management system that provides alerts for over-speed events, warns the driver prior to the approval limit and creates a behaviour profile which can limit speeds to the specific application maximum. "Over time, habits become ingrained; training, management and Real FMX can ensure that these are good rather than bad habits," says Valentine. He adds that many companies and forklift operators believe that limiting speed also limits productivity; however, Real Telematics’ studies show that with correct application and management of hours, productivity can actually improve. 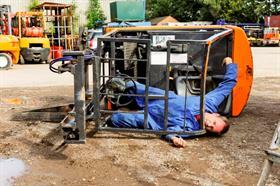 Forklift tip-overs account for 40% of forklift driver injuries and are the single-biggest danger for a forklift driver. Together with over-loading and speed, uneven floor surfaces contribute significantly to tip-overs. They also contribute to back injury. Hans Voet, General Manager of Belgian company Alphaplan explains that proper floor preparation is a three-part process of grinding, measuring/analysing and finishing. Alphaplan begins with grinding the warehouse floor precisely so that forklifts have an ultra-smooth and safe work surface to operate at full speed. FloorProfiler is then used to precisely measure the flatness of the floor after grinding in order to pinpoint problems before the forklifts start working. Finally, the floor is finished with FloorBridge, re-stating floor joints after installation of guidance systems or sealers so that there is a smooth transition of the forklift across the expansion joints. For legal reasons, all forklift operators must receive adequate training and certification, although the issuing of certificates is not mandatory in the USA or the UK. A High Risk Work Licence is mandatory in Australia, as is an AQSIQ certificate in China. Training and certification are the responsibility of the employee, but the employer is legally responsible to ensure the level of training is adequate. This includes verifying certificates and/or training documents. Training should be done in three stages, according to the HSE: basic operator training, specific job training where context is added and, finally, familiarisation training, where operators are introduced to "live work" for the first time under strict supervision. 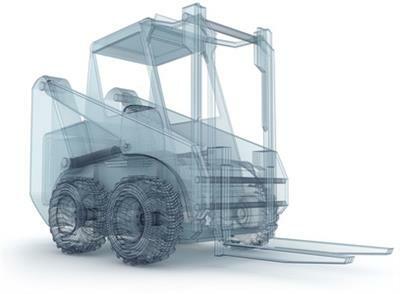 Furthermore, training must be conducted for each specific type of materials handling equipment and attachment that the driver is required to operate and should be delivered by a suitably trained and qualified instructor. By not following safe workplace practices, a company leaves itself open to prosecution in the event of an accident. At the recent Fork Lift Truck Association’s 2015 conference, Peter Lennon, head of transport at HSE, said that, "A large proportion of accidents are due to poor supervision. 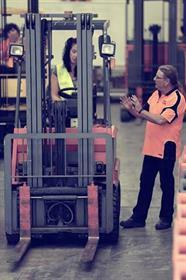 Forklift operations need to be overseen by supervisors and managers that are trained and competent to do so." He suggests that in an ideal safe workplace, supervisors should ensure that the forklift is the correct type for the application and that there is a system for regular inspection and maintenance, statutory examinations, and so on; and that you have drivers who are trained and competent to carry out their day to day functions. Although this is best practice, there is anecdotal evidence that even in large multinational companies, a blind eye is often turned, allowing drivers without appropriate qualifications to drive forklifts with the full knowledge of management. Properly trained supervisors are essential to workplace health and safety. One of the issues with driver training, says Daryl Lord, managing director of Ausfork, an Australian-based forklift training organisation, is the time "off-work" that companies have to allow for training to take place. He says that many companies find it onerous to have to gather staff in the first place and then commit them to hours away from duties – especially for staff requiring upgrades of licences or refresher courses. Ausfork has developed an online course, using video and graphics with an in-house practical component for those wanting to upgrade their forklift operating skills. Lord explains that the course has been designed to bridge the gap between driver certification and training on various new pieces of equipment – training that many companies tend to ignore as they do not see such training as cost effective. Ausfork Cloud-based Training (ACT) enables employees to complete the theory required for specific equipment or refresher courses online and in their own time. Once the theory is completed, it is held in suspense until the inhouse trainer (supplied by Ausfork or the employer) uploads the results of the practical testing. When the participant successfully completes both theory and practical assessment, the training is complete. ACT‘s content has been designed to address the specific requirements of each individual materials handling equipment class. There is an additional problem in the training area, says Lord, and that is sourcing accredited trainers. With this in mind, trainers and training organisations around the world are issued with registration numbers when they have been accredited, which all employers are encouraged to check. In the UK, the recently formed Accrediting Bodies Association (ABA) holds a national register of accredited trainers and trainees in the UK. In Australia, training is required by a Registered Training Organisation (RTO) which also holds records. Mezzera says that training should be regarded as the "priority in the route to safety," but personal attitudes and driver behaviours should not be disregarded and that strict procedures need to be adopted by both forklift drivers and pedestrians. The FLTA agrees: one of its core messages at this year’s conference was addressing driver complacency and bad practice through repetition of guidelines in training and follow-ups. Valentine says that safety products must engage at the operational level with the driver. "What we truly want is a behavioural change that instils the culture of cost savings from management all the way down to the driver level," he says. Huisman believes that safety systems should be designed and used in a manner that does not remove responsibility from staff to operate in a safe manner and should function as much as possible behind the scenes to ensure it does not impinge on workflow. Legislation, he feels, is useful to ensure workers’ rights to a safe and healthy work environment, enforcing changes on those organisations which fail to ensure the welfare of their workers and, therefore, abuse the rights of their staff. However, he adds that in his view, legislation should also encourage a "spirit" of safety and allow individuals to make reasonable judgements concerning their own safety processes. Domberg says that while developed countries call for mandatory training and manufacturers continually develop operator training programs to meet these regulations, developing countries fall well behind. He suggests that manufacturers need to help bring these developing countries’ training programs up to the same standards. Phil Saula, safety manager for US dealer H&K Equipment and a forklift trainer for many years, believes that education is key. 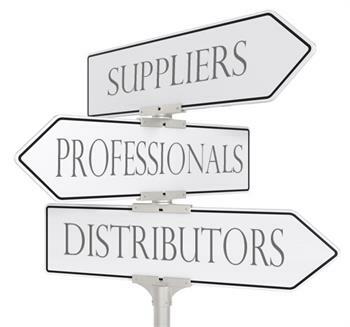 Forklift owners and operators, particularly at the smaller company level, need to know what’s required of them. "Often the smaller shops don’t have anyone who works in safety full-time. They don’t know what they need to do, they just know that they need to be compliant," Saula explains, adding: "There needs to be cultural change at the top. If companies make safety training a priority, so will their employees. They have to understand what they need to do, not just to comply with regulations but to keep their people safe. These really are life and death issues and people need to see them this way." IS YOUR FORWARD-REACHING LOG OR PIPE HANDLING TRUCK COSTING YOU?